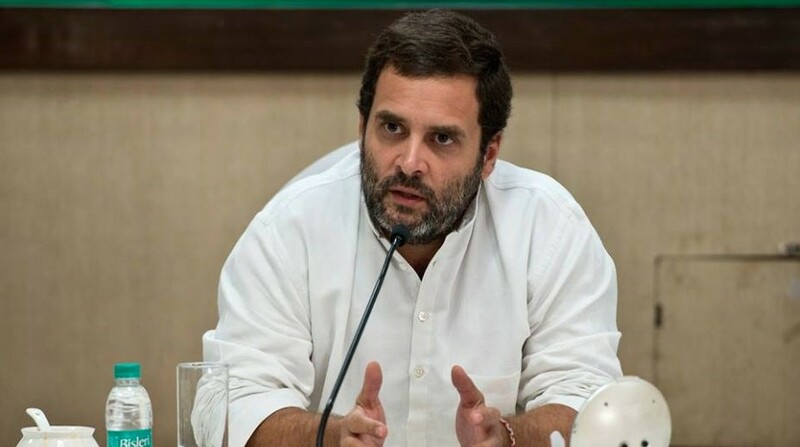 Congress president Rahul Gandhi on Monday launched an attack on Prime Minister Narendra Modi saying all his interviews on public platforms were scripted. The Congress chief was referring to an interview of PM Modi that he gave at Singapore’s Nanyang Technological University (NTU) last Friday. At the interview, PM Modi was responding to the questions in Hindi, and an interpreter was translating it in English immediately. Responding to a particular question, the Prime Minister gave his answer in Hindi, but the English version given by the translator was way lengthier, and more detailed than Modi’s answer. The Gandhi scion took to Twitter and wrote that if PM Modi took real questions it would be a real embarrassment to all. “The first Indian PM who takes “spontaneous” questions that the translator has pre-scripted answers to! Good that he doesn’t take real questions. Would have been a real embarrassment to us all if he did,” he tweeted. The first Indian PM who takes “spontaneous” questions that the translator has pre-scripted answers to! With the translated version also giving out some details that the PM did not even mention in his reply, many are speculating that the interview of PM Modi, the queries and his responses to them were all scripted and not spontaneous. On Friday, PM Modi was interviewed by NTU president Subra Suresh before a live audience. Suresh took questions from select, pre-decided members of the audience. A video of the interview has gone viral on social media.